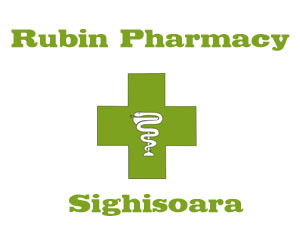 The first private pharmacy in Sighișoara, has been founded after 1989 by Mr. Veress L�szl�, who is still our leading pharmacist. At the beginning (1991-2000) we had the pharmacy situated on 1 Decembrie Street, then we moved to Gării Street, and this is the place where you can find us nowadays too. 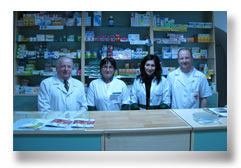 In 1997 Mr. Veress Zsombor finished his studies, joined the company, and from 2007 he is our administrator pharmacist. In this way the company became a real family-business and the best opportunity for young pharmacists to improve their knowledge, learning from the experience accumulated during several decades by our senior pharmacist. Our policy is based on patient-care, on a high-quality service given to each customer, and we also give importance to the education of the population in modern health-care. Our aim is to protect the noble tradition of the pharmacist, keeping in touch with the modern inventions of the 21st century, transmitting our knowledge to the next generation.